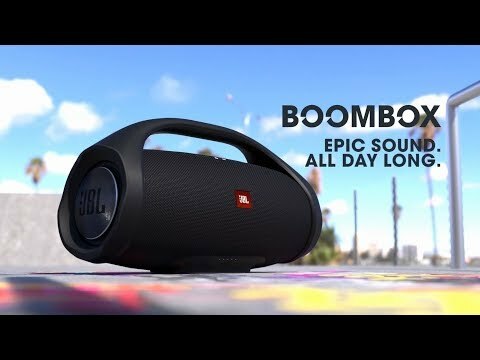 Party outside all day with this JBL Boombox Bluetooth speaker. 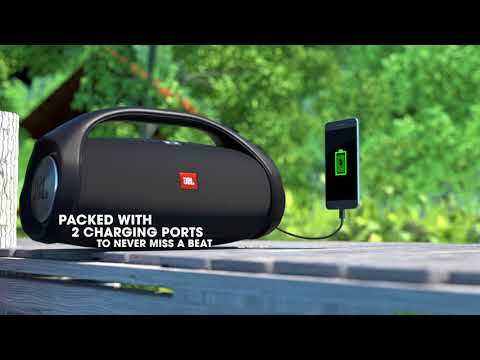 Its 20,000 mAh rechargeable battery provides up to 24 hours of nonstop playback, and it has indoor and outdoor sound modes for optimal audio quality in different environments. 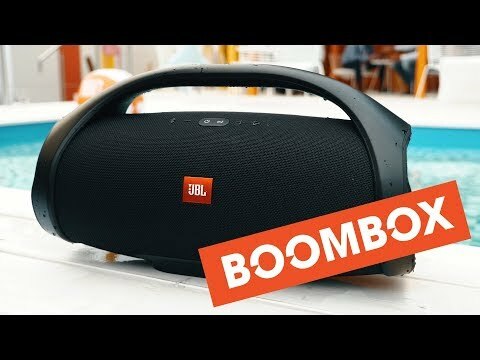 You can pair more than 100 JBL Connect+ speakers with this water-resistant JBL Boombox Bluetooth speaker to rock bigger venues.